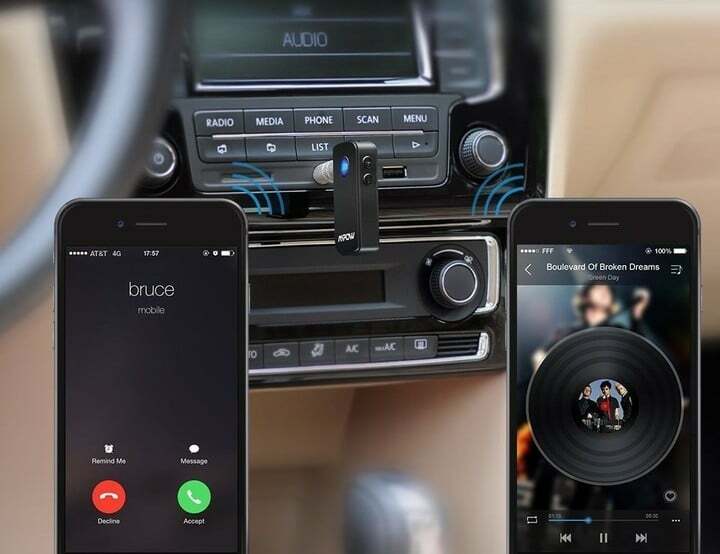 Have an older car that doesn’t have Bluetooth but has an auxiliary port? Well, for just $12 bucks today, you can add Bluetooth via this Mpow Bluetooth Receiver. Just be sure to use the promo code N8KGYZCY . 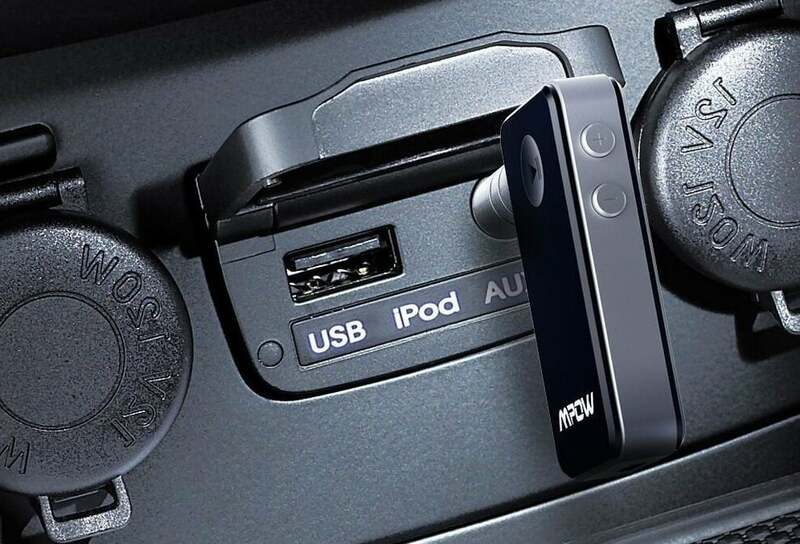 The Mpow Bluetooth Receiver is amongst the most popular Bluetooth receivers out there. In fact, according to Amazon, it’s their #1 best seller in Car Stereo Digital Media Receivers. Its super-compact design that requires no wires is a real hit and because of its portability. I’m loving this little gadget. I drive a 2008 BMW 528xi, which has Bluetooth capability for phone calls but not for audio. My auxiliary port had something wrong with it and the sound only comes out of one side of the car. Plus the cord was annoying and ugly, especially since the port is behind the center console (basically in the back seat). I just plugged the mpow in, connected it to the phone, and it works perfectly. The sound is amazing, and I can hear the music on both sides of the car. This was a great investment, I’m really pleased with it. Seriously, this little thing is great. We love how tiny it is and how it doesn’t require a wire running to a car charger, which for many of us we’d rather keep available for charging our phones. Of course, the one caveat is that this requires charging. But at 8 hours of playback per charge, we’re guessing that most people won’t have to charge it very often. Just be sure to use the promo code N8KGYZCY at checkout to receive the full discount.